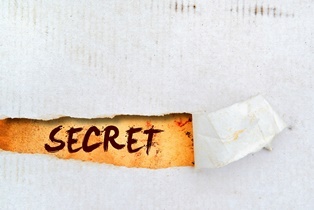 Car Dealers Sometimes Offer “Secret Warranties” | The Consumer Law Group, P.C. When your new car has a mechanical problem, there are several things you can do. The first is to bring it in to the dealership for a warranty repair. Most new car warranties cover nearly everything that could go wrong with a car for the first three years or 36,000 miles. If the problem is a recurring one that cannot be repaired by the dealership after several attempts, you may be eligible under the Lemon Law for a full refund or replacement of the vehicle. Finally, if your warranty has expired and you do not have a valid Lemon Law claim, you might be eligible for a manufacturer’s after-warranty assistance program. Also known as a “secret warranty,” these claims are not common, but may be worth looking into. When a manufacturer knows it has a mechanical issue with a particular car model, it may issue an internal service bulletin authorizing the free repair of the problem, but only at an owner’s request. These programs are known within the company by several different terms, including after warranty assistance, an extended warranty, an adjustment program, a service campaign, or a good will program. Outside the industry, they are often referred to as a secret warranty. These programs apply to repairs that would not call for a recall because they do not affect the safety of the vehicle. If an after-warranty assistance program exists for the issue you are having, you will likely also have to meet several criteria to be eligible. You may have to show that you have taken good care of the car and have only had repairs done at the authorized dealer. There will be time limits on the program, just as there are for warranties. Finally, you may end up sharing the cost of repair with the manufacturer or dealer, but could still see significant savings. Not everyone looks kindly on secret warranty programs. Because consumers are not informed that the offer exists, many of them pay for repairs they shouldn’t have to pay for. In Virginia, the Motor Vehicle Manufacturers’ Warranty Adjustment Act prohibits carmakers from offering secret warranties. The act requires manufacturers to inform customers of any adjustment program applicable to their cars, much like they do for recalls. If you pay for a repair on your car after being denied assistance by the manufacturer and later find out that there was an after-warranty assistance program in place, you may have cause for legal action against the manufacturer. Fill out the “Do You Have a Claim?” form on this page to find out if we can help.